Home Design architecture at small house isn�t difficult as the size. We can make some small area looks even larger then actual size. 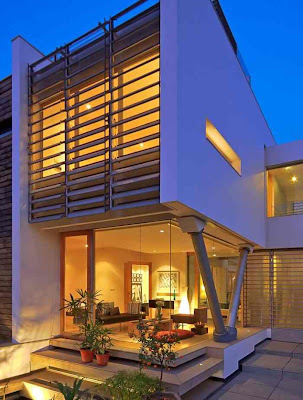 At Malang, East java, Indonesia, some small house adapt minimize tropic home design architecture. It�s use some gardening, composition wall color, texture and some decorating house.